1. 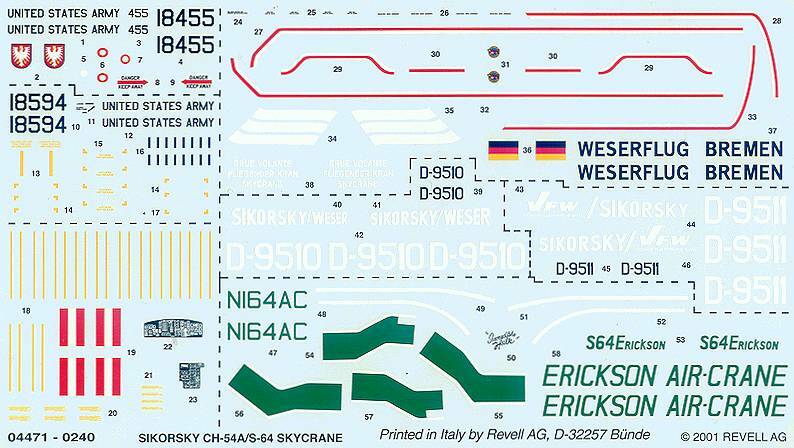 Revell have released the latest iteration of their 1:72 Skycrane, this time it's #4471, having also been known as #H-258, #4459, and #4490 at various times since its first appearance 33 years ago. I can see no signs of any deterioration in the mould; in fact if anything the quality of the clear parts has improved slightly when compared with earlier releases, they are now free of any imperfections. US Army 18455, 295th Aviation Company 'Flying Mustangs', 5th Army Group, Finthen, Germany, 1973. The US Army CH-54A has the less conspicuous markings that the 'Tarhe' wore in its later years of service, lacking the US star-bar roundels, but with a nice German Eagle insignia with the word 'Frankfurt' beneath it for each side of the cabin. It also comes with a new set of markings for the underslung pod, #18594 (which does NOT have the large Red Cross markings shown on the box art). The paint scheme is of course olive-drab. 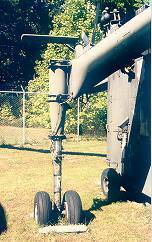 The two German registered examples were CH-54A prototypes built in the US and shipped to Germany before any orders had been placed by the US Army. 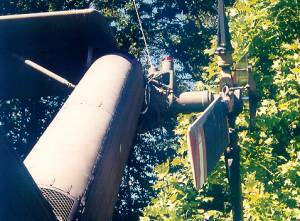 They were operated between 1962 and 1965 by the licencee Weser (Weserflug Flugzeugbau GmbH of Bremen), later VFW (Vereinigte Flugtechnische Werke), for evaluation by the Bundeswehr. The paint scheme is olive green on top with a red forward section, tail pylon, and lower/underside of the fuselage. The same markings were first seen on the decal sheet which came in the 1990 release #4490. I have been unable to find any pictures of these aircraft except for a very small one on the front of a book about VFW-Focker, who also built the German CH-53G's. There are probably more pictures inside the book. The cockpit and forward fuselage of D-9511 survives in the Flugausstellung Junior museum at Hermeskeil in Germany, now painted blue. The Erickson Air-Crane S-64E markings are a very nice suprise, but with the reservation that some modifications to the kit are probably required. 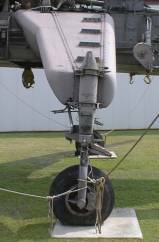 All the Erickson examples I have seen have the aerodynamic fairings removed from the front and back of the undercarriage legs and from the leading edge of the tail pylon. 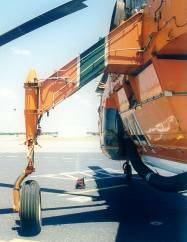 Some other civilian-operated Skycranes do however retain these. The paint scheme is Erickson's usual orange with green bands, some of which are supplied as decals. Note that the later CH-54B and the derivative S-64F have twin main-wheels and rotor blades of a broader chord than the single-wheeled CH-54A / S-64E, as well as different engines. Readers in the US might want to give serious consideration to Sheuer & Streuver as a source for Revell Germany kits. I note that the prices of the Revell kits are the same as, or lower than, their Italeri equivalents; I did a quick 'shopping-basket' of three Revell Chickasaws, including shipping to the US, and it came to about $36. They also stock Italeri & Heller. A possible US source for F40 is Flugzeug Publications North America. 3. Burkhard Domke has recently posted an excellent set of NH-90 walkaround photos. 4. Hyperscale have recently published a very nice feature by Jan Teipel on building and detailing the Revell V-43A/H-21 #4447. Note that the suggestion in the article that Italeri might have the rotors on the wrong way round in their instructions is in fact not the case, it's just that some modellers seem to have ignored them ! 5. The Hasegawa 1:72 UH-60A 'VIP Hawk' #00175 is now available in Japan. 6. Eduard have issued a set of Express Masks #XS-103 for the 1:72 Italeri/Revell H-19/S-55 kits. 8. The Interesting Aeroplane Company has some pictures of the interior of a Lynx HAS.8 that will come in handy if you are working on the Airwaves conversion or looking forward to the release of the new / revised Airfix kit (in April ?). 9. The next Max Decals featuring helicopters (see HKN #110) won't be available until midsummer. However, MAX7204 International Alouette III's has just been reprinted and should now be available again. This will be the last reprint of 7204 so get them if you want them. There has been a lot of interest in the proposed Antarctic Aviation series of decals. The DHC Beaver and Otter sheets will be printed first followed by the VXE-6 sheet which will be mainly fixed wing types. 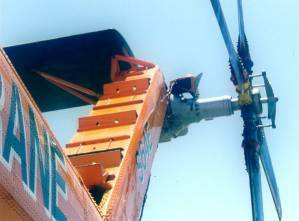 The VXE-6 helicopters will probably be held over for another sheet just for rotary wing. There will also be a Nordic/Baltic selection including helicopters in 1:72 and more Irish Air Corps examples once they purchase a new medium-range helicopter. The artwork is done for the Irish Police AS355N but Max are having difficulty getting permission to sell it as a decal! The A-13 was a modification of the A-8, as was the A-14 which had the wings removed and a re-designed tail. The 'v-tail' A-6 was an experimental configuration of the A-6. 11. There is now an on-line source in the UK for the three 1:72 Aerodrom S-51 / Dragonfly kits. Visit Frogkits for full details of the contents of each of the Aerodrom boxes, and browse with nostalgia through the extensive and fascinating selection of second-hand & collectors' items. Thanks to Keith Walker, Colin Ritchie, Drew Graham, Pete Tasker, Reg Wilson (Frogkits) & Joe Maxwell (Maxdecals).